Cricket is an amazing game much like soccer any thing can happen anytime. Javed Miandad’s last ball six or Kapil Dev’s catch in the 1983 world cup you can expect the unexpected. Cricket is second most popular sport played in the world after soccer with over 2-3 billion followers. With one billion coming alone from India, and then Australia, UK, Pakistan, Sri Lanka, Bangladesh etc. World Cup is one of the biggest events in Cricket history, ups and downs are always the crux of the game which keeps the viewers on their toes and cheering for their teams success. Here is a list of top 10 cricket moments from the Cricket World Cup history. 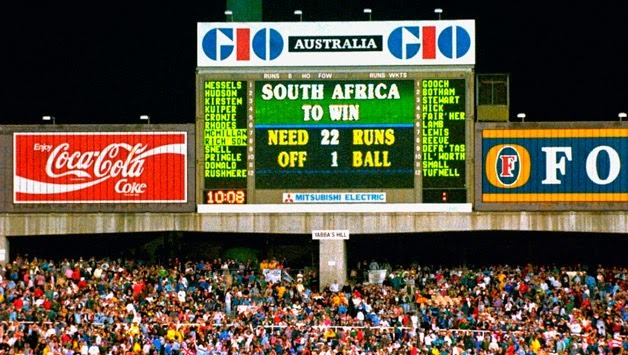 At number 10 is the South Africa’s 22 runs of 1 ball in 1992. South Africa has been one of the most unfortunate team in the world cup, they are the top ODI team since the last 2 decades but have never made won the world cup finals due to their bad luck. In the year 1992 they were close to winning the cup, in the semi finals they were up against England. With young guns like Jhonty Rhodes and Allan Donald they had defeated everyone from Australia, Pakistan, India, West Indies To Zimbabwe. But their bad luck hit them hard on that day in Sydney chasing a moderate total South Africa needed 22 runs from last 13 deliveries, but the rain stopped the game and as it resumed the score was 22 required of 7 balls and further later the scoreboard showed 22 required of 1 ball. Mighty Protias player Brian McMillan made a single run of that 1 ball and they lost the game. Rules of the game were changed in 1999 by the Duckworth-Lewis method. Martin Guptill from New Zealand single handedly took the game away from West Indies few days ago in the cricket World Cup 2015 as he scored a blazing 237 of 163 allowing them to make a total of 393 of 6. He was named man of the match in the end. By the end of the innings he had hit 24 boundaries and 11 sixes and remained unbeaten. He was there from the start of the innings and stood there till the end. 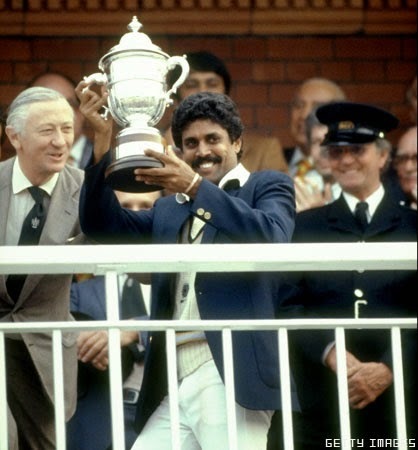 In the year 1983 when no one was expecting India to win the World Cup one man stood against all odds this all rounder not only made runs with the bat but also took wickets and led his team by example he was Kapil Dev. After winning first 2 world cups the West Indies were the favourite to win the 1983 they were one of the most dominant team of that era. Players like Clive Loyd, Sir Viv Richards were there in the team. 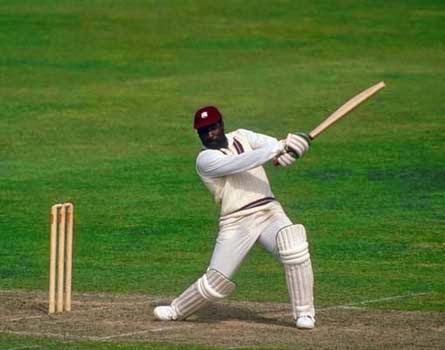 Batting second the Caribbean team lost a crucial wicket of Viv Richards when Kapil Dev took a stunning catch running backwards after which the West Indies team collapsed. Bermuda is one of the lesser known cricketing nation which was there in the 2007 world cup. The player who grabbed the attention was Bermudian jail officer Dwayne Leverock who dived to his right and took a catch of Robin Uthappa. 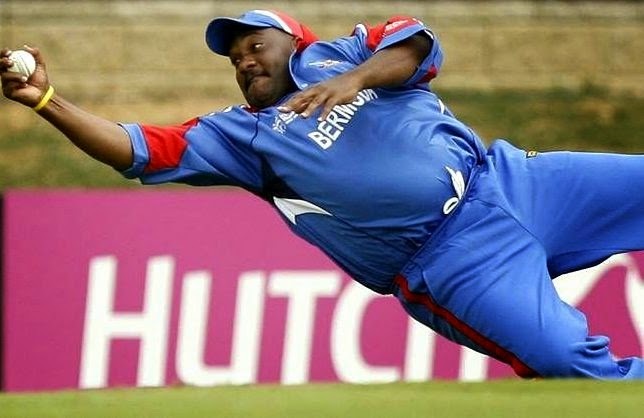 Dwayne weight around 20 stone (127 kg) and was 35 years of age when he took this spectacular catch. 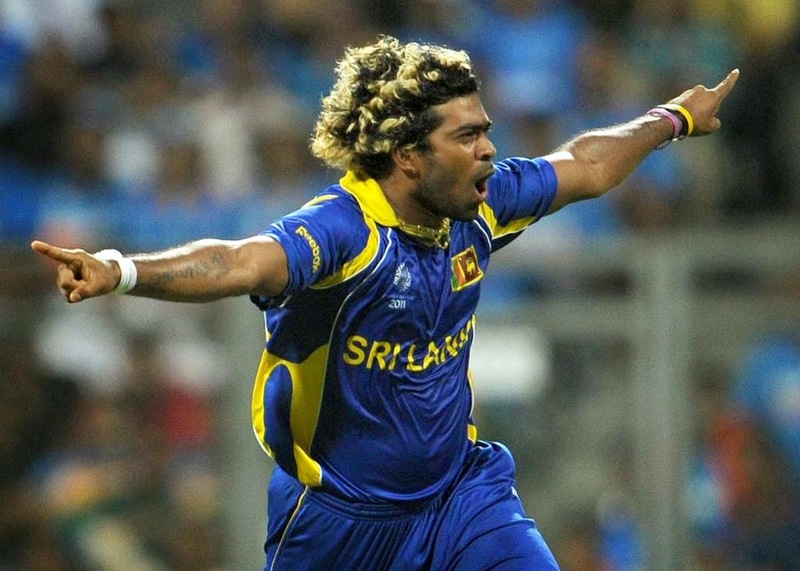 Lasith Maling is one of the best fast bowlers that Sri Lanka has in today’s date and has the best yorkers in the world which has made him a bit predictable these days though his record of 4 wickets of 4 balls against South Africa on 28 March 2007 World Cup still remains unbeaten. The South African’s required 4 runs of 33 balls and had 5 wickets in hand but Malinga took 4 of them bringing hope back to Lankan team. He took the wickets of Pollock,Andrew Hall, Kallis, and Makhaya Ntini. In the year 2011, 2nd March history was made by the Irish team when they defeated the well known English test team. The record for the fastest world cup century is held by Kevin O’ Brien who made 100 runs of just 50 balls and helped his team cross the victory line. This was done at the Bangalore stadium. Ireland played well in the 2015 World Cup as well and won 3 out of their six matches. A very few cricketers are called and Sir Vivian Richards from West Indies is one of those. During his era of the 70’s the West Indies were unbeatable force. He along with Collis King helped them win the 1975 World Cup with 92 runs in the final against England. 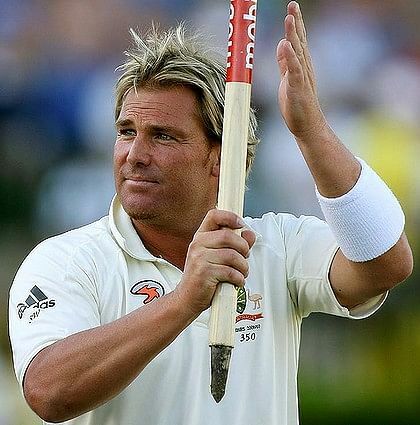 In the year 1999 when several great players were present in the Australian side, Shane Warne was one magician leg spinner who can never be forgotten. His spell of 4 for 33 Against Pakistan was the one which helped Australia win the second World Cup in the year 1999. Pakistan was consistent in the World Cup but as usual relied more heavily on its bowling rather than batting. As usual after winning the toss Wasim Akram then captain elected to bat and by the time 20th over was bowled Pakistan were mere 68 for 3. After which Shane Warne was called in and he took some crucial wickets including that of Afridi and Moin Khan. Wasim Akram one of the best fast bowlers from Pakistan along with Imran Khan was the main reason Pakistan won the 92 World Cup, in the finals against England he took 3 cruicial wickets and made 33 runs of just 18 balls helping Pakistan who were 197 for 4 reach the total of 249 for 6 and win the finals. After 28 years India had finally won the World Cup second time in the year 2011 after defeating Dhoni the then Indian captain and who is known for some strong hitting made 91 runs of 79 balls to help India get to the victory. He along with Gautam Gambhir were the heroes of the match. Sri Lankans who readched the finals defeating England and New Zealand while India had made their way defeating Australia by 5 wickets in the quarter final and Pakistan in the Semi Finals. On the sold out Wankhede Stadium in Mumbai it was Sri Lanka against India, Lankan’s made a formidable total of 274 for 6 where nearly every Indian bowler was hammered to some extent. On the other side of the innings when the Indians came on to bat Sehwag got out cheaply for a duck and Sachin for mere 18 runs. But Gautam Gambhir and Dhoni stood their ground helping India reach the target, the last six of the match brought the 28 year old dream back to life. Another great moment is the 1999 World Cup semi final between Australia and South Africa. The 1999 World Cup had brought a horror for South Africa once again in the World Cup, this time it was Allan Donald who messed up the chances of South Africa’s victory. The bowler was batting along with Lance Klusner they needed just 9 runs of the last over with Klusener’s hard hitting record and most number of not outs in the World Cup he could easily do it. After hitting 2 boundaries they were close to winning the World Cup when Allan Donald messed up a simple run and got himself run out. Here is the complete video. Share your favourite moments from the Cricket World Cup.